Hezbollah is an Iranian sponsored terrorist organization originating from Lebanon made up of Shiites who are fighting to destroy Israel. They have 50,000 to 70,000 Iranian-supplied missiles sitting in civilian areas in southern Lebanon that are all aimed at Israel. Their troops are fighting on the side of Assad in Syria and have helped to killed over 120,000 Syrian civilians and other rebel terrorist groups. The USA has a law that prohibits the Administration from speaking with a group like Hezbollah who have political and military wings, but that isn't stopping our administration. They are involved in secret indirect talks through London. The talks supposedly are about fighting against the other main terror group, al Qaida. What the USA is doing, they say, is hearing the views of this party and warming up to a direct relationship in the future. Iran backs Hezbollah. It's interesting that Rouhani, the Iranian president, spoke to David Cameron, the British Prime Minister, last week and then placed the talks in the context of the ongoing negotiations between the West and Tehran. This makes Washington seem very willing to have diplomatic relations with the Islamic Republic. Britain and Iran's relations fell after the Iranians stormed the British embassy in Tehran in November 2011. The odd thing is that a month before this happened, in October, Britain and Iran had renewed diplomatic relations and Britain named a new charge d'affaires to Iran. " The British Embassy in Tehran is closed following an attack on the Embassy on 29th November 2011. Sweden now represents British interests in Iran through a British interests section at the Swedish Embassy in Tehran. The UK has not cut diplomatic ties with Iran, although they remain at the lowest level consistent with the maintenance of diplomatic relations." Obama's administration is that of the Democratic party. The Republicans are about a 180 reversal of what they are trying to do. Senator Marco Rubio, Republican from Florida is opposed to the nuclear deal with Iran. He calls Iran a "rogue state," and has pointed out that Iran's Supreme Leader, Ali Khamenei will oversee implementation of the agreement and was calling Israel a "rabid dog" and accusing the USA of war crimes. It must be remembered that Khamenei is their supreme leader and the country's head of state and holds more power than the President does. It is Khamenei who is in charge of Iran's foreign policy which includes the nuclear agreement. Some of the things Khamenei is throwing into the face of the USA are crimes in Iraq, drones in Pakistan, more drone crimes, Afghanistan's bombing, torture, killing, the Guantanamo prison, etc. So he doesn't like the USA much less than he hates Israel. 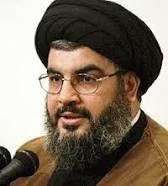 The USA most likely is talking with Hassan Nasrallah, the head of Hezbollah which started in 1985. Hezbollah is in the government of Lebanon, and is called a state within a state. They call Israel the Zionist Entity when they are feeling nice. He has said many quoted statements, but one was that "if Israel attacks Lebanon, Iran, Syria or Gaza, they will be met with a fierce response. " Israel doesn't initiate attacks, only engages in defensive attacks after being hit or to squelch an oncoming attack. He also refuses to believe that there is a legal state of Israel. I guess news hasn't gotten to Iran in the past 65 years. Al Qaeda is the terrorist group that Osama Ben Laden formed which is a global Sunni group out for all to follow the Sharia Law. It came from Peshawar, Pakistan. So we have Sunni against Shi'a terrorists, both all for Sharia Law but obvious competitors where both have been trying to take over Syria. .
Oregonian newspaper, December 1, 2013, page A2, politiFact.com Rubio calls out Iranian leader for referring to Israel as a "rabid dog". I saw this story last week....or a few days ago....The Biblical narrative is coming to pass...but to watch America move in the wrong direction is still heartbreaking and ominous!